When researching the story of this infamous diamond, known as the Koh-i-Noor, it was the week of the 70th anniversary of India/Pakistan’s independence from the UK. I am an American living in Berlin but I did not miss the significance. This was quite timely given the issues that this stone has raised over the years for all involved. It is ‘very likely’ that the stone came from Guntur in Andhra Pradesh, India, in the 1300s. All diamonds up to that point were mined exclusively in this region. I read about the ‘curse’ and various powerful men who owned it and lost it, up until the reneging of the stone from Duleep Singh, a child Maharajah, to Queen Victoria in 1849 as part of the power handover of his kingdom. The well-known story involves a Queen trying to deal delicately with the spoils of the British Empire, including the diamond and the beautiful 10-year-old-year-old Maharaja, whom she adored. This love story has a tragic end which cannot be blamed on the ‘curse’ of the Koh-i-noor but the curse of war, colonialism, power, attempted reparations…. “He who owns this diamond will own the world, but will also know all its misfortunes. Only God or woman can wear it with impunity,” reads an ominous warning in ancient Hindu transcripts, regarding the Koh-i-Noor, which means Mountain of Light in Persian. 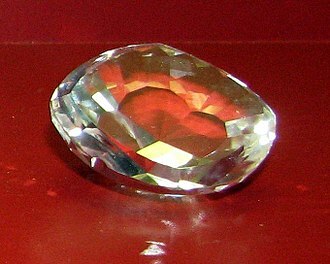 The generous 739-carat uncut rock has traversed many hands; according to the memoirs Zahiruddin Muhammad Babur, the founder of the Mughal Empire in India, it once belonged to Rajah of Malwa but was stolen in 1306. Since then it has traded hands of a range of Hindu, Mongolian, Persian, Afghan and Sikh rulers but none could hold it for long and there was a bloody trail of war and deceit that followed it. The British Royal family ‘acquired’ it in 1849 with the reign of Queen Victoria and since then it has only been exclusively worn by women of the royal family, including Queen Alexandra of Denmark, Queen Mary of Teck and the late Queen Elizabeth to heed ‘the legend’. All is fair in love and War or Who’s Truth is truthful? India has mourned the removal of the stone since 1849. In 2015 a collection of Bollywood stars and businessmen pressed the UK government to return the “stolen” jewel, linking their plight to the art looted by the Nazis during the second world war. Successive British prime ministers have rebuffed India’s 70-year old claim, but a new investigation by authors William Dalrymple and Anita Anand finds that even Queen Victoria was “racked with guilt” about the way the diamond was acquired. The monarch’s doomed relationship with Singh, the 10-year-old Maharajah whose kingdom the British seized, is one of the more indelible through lines in the story of the 105-carat diamond, recounted in the book Koh-i-Noor, released in the UK the week of the 70th anniversary of India & Pakistan’s independence. 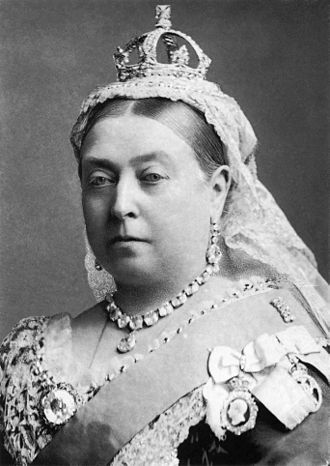 However, Queen Victoria hesitated to wear the diamond in public for years after it was triumphantly presented to her in 1850, apparently stricken by the plight of its previous owner. 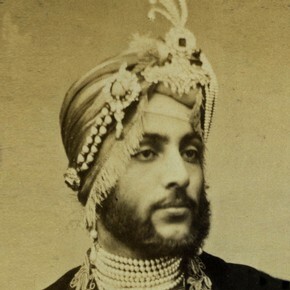 Singh, the last Maharaja of Punjab, had his kingdom prised away by the East India Company, the conglomerate that became an agent of British imperialism in South Asia. Company agents had arranged for the boy’s mother to be thrown in prison, to accelerate the surrender process. When Singh finally signed Punjab over, the Koh-i-noor was an explicit British demand in the terms of defeat. 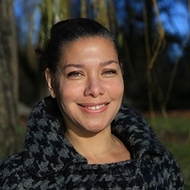 The queen eased her conscience at Singh’s treatment by adopting the boy as her own surrogate son, and then years later, engineering an extraordinary reunion between boy and jewel. In a Buckingham Palace drawing room, as Victoria watched, a then-teenage Singh was handed a newly recut Koh-i-noor. He observed it with “a passion of repressed emotion on his face”, Dalrymple and Anand write. Observers feared he might fling the stone out the nearest window. But Singh knew his part in the royal drama. He approached Victoria, bowed deeply, and handed her the diamond. ‘It is to me, ma’am, the greatest pleasure thus to have the opportunity to, as a loyal subject, of myself tendering to my sovereign – the Koh-i-noor,’ he said. Soon after, [Victoria] took to wearing the Koh-i-noor frequently and conspicuously,” the authors write. The story of the diamond’s arrival in London, its display at the Great Exhibition of 1851, the recutting of the stone by Prince Albert and the Duke of Wellington to give it brilliance, the tragic life of the boy-prince who converted to Christianity and came to England – all have been told before. Why tell it now? Dalrymple explains that when the British acquired the diamond, Lord Dalhousie commissioned Theo Metcalfe to write the diamond’s story and the clerk duly complied, constructing an “enjoyably lively but entirely unsubstantiated” narrative “based on Delhi bazaar gossip”. Dalrymple and Anand have gone some way to rectifying the situation. But much remains unverified and open to interpretation. And much remains mired in inaccuracy, as was apparent last year when the Indian solicitor general, discussing a claim on the diamond in the Indian supreme court, stated that the diamond had been given to Queen Victoria by Maharaja Ranjit Singh, not by his son. Dalrymple’s much-anticipated book on the East India Company may well provide more background to this story.